Tortugas is one of those places you want to share with everyone you know, while also being a little selfish and keeping its charm to yourself. 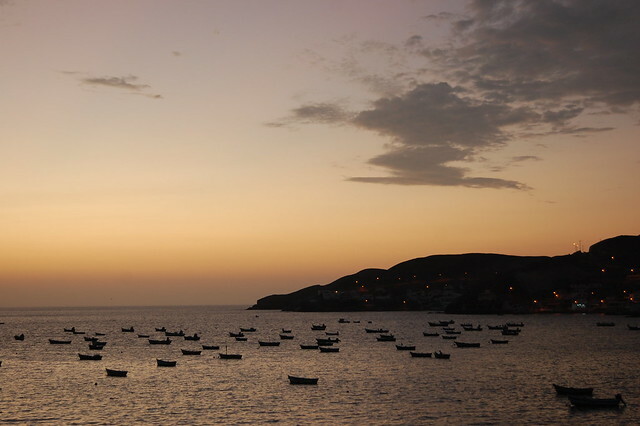 With so much coastline along the Pacific ocean, there are lots of beaches to choose from when visiting Peru. 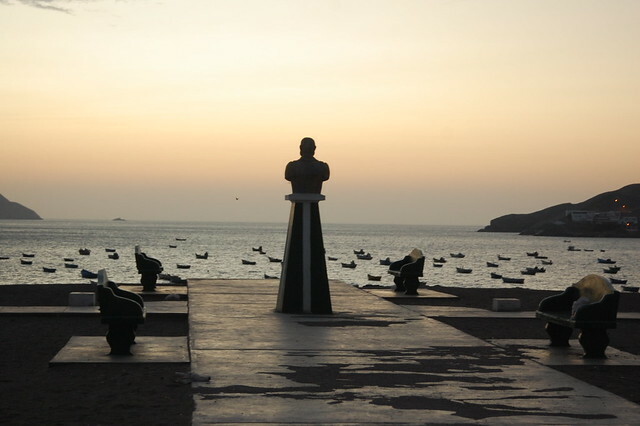 Limeños flock to the beaches an hour or two south of the capital, like Punta Hermosa, Asia, and Pulpos, while foreigners often head north to the beaches of Piura and Tumbes, especially party-central, Máncora. 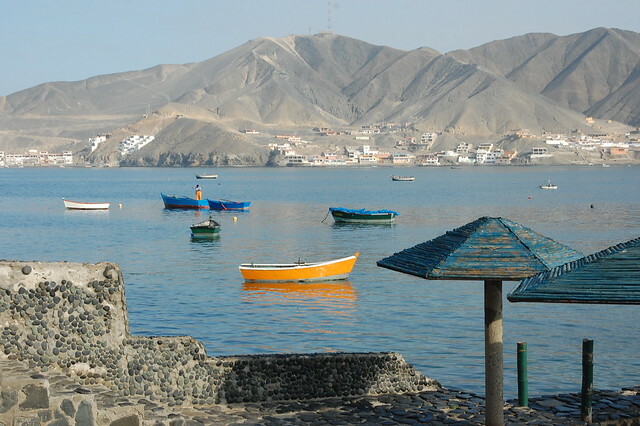 The fishing village of Huanchaco, outside of Trujillo, is increasingly popular, especially among surfers, but what happens if you just want to relax and get away from the crowds? That’s where Tortugas comes in. 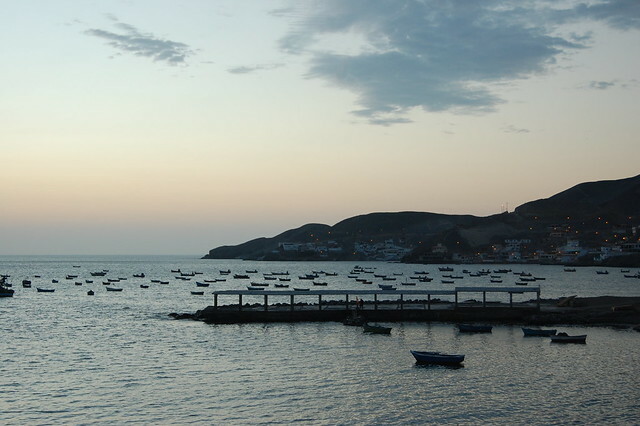 Tortugas is a small fishing village located around a beautiful bay in the department of Ancash. Ancash has a number of notable sites; beyond Casma and the ruins of Cerro Sechín, it is also home to the major archeological site, Chavín de Huantar, the city of Huaraz, and the amazing lakes and mountains of the Cordillera Blanca. With such popular neighbors, it’s no wonder that Tortugas remains a bit of a secret. Tortugas first came on my radar back in 2013, where I came across a couple of articles naming Tortugas one of the most beautiful beaches in Peru and basically calling it paradise. My interest was piqued. After checking out the nearby ruins of Sechín, my friend Enzo and I boarded a combi (small bus) heading to Tortugas. The combis leave regularly from a parking lot right off the main plaza, and it takes about 20 minutes to get to Tortugas. The route takes you through the barren desert lining the main roads, no water to be seen anywhere, before finally reaching the turnoff and the long paved road to Tortugas, which is located about 2-3 kilometers from the Panamerican highway. It didn’t look like much as we approached, but then the combi came to a stop at the entrance to the town, right in front of the bay. We arrived just as the late afternoon sun was illuminating the hills surrounding the bay, coating everything with a golden glow. How could you not fall in love with this little village? We wandered up the main road, finding a restaurant that doubled as an hostal with rooms for rent in the back. After dropping off our things, we headed back outside to catch what ended up being a gorgeous sunset. Tortugas, which means turtles or tortoises in Spanish, received its name due to the quantity of the creature that used to swim in its waters one hundred years ago. 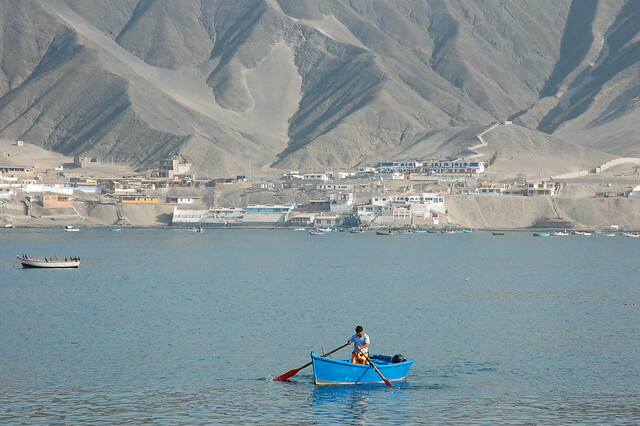 Today, it is known for its beautiful views, relaxed environment, and plentiful ceviche. There are a number of restaurants and kiosks selling quick meals, but the town maintains its laid-back feel, catering mainly to those who have summer homes here and the occasional tourist. 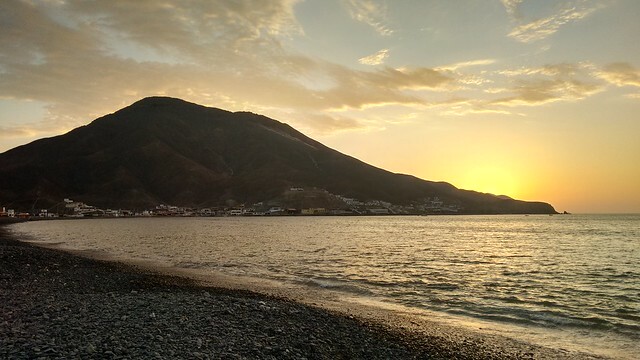 There’s not much to do in Tortugas besides take it easy and enjoy the views. We walked up and down the main road after nightfall, appreciating some downtime to talk about what had been happening in our lives over the past year. 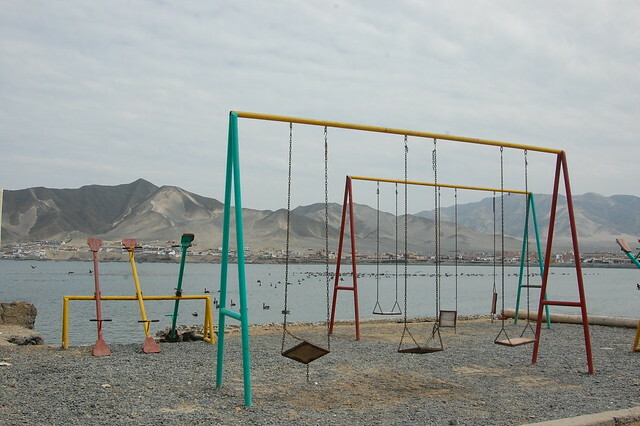 With a couple of playgrounds and plenty of viewpoints to sit and listen to the water, there is enough simple entertainment to enjoy a relaxing evening. After a good night’s sleep, we woke up early to enjoy some time in the water before heading back to Casma. In the morning light, I saw the visual appeal of Tortugas: the water is incredibly clear and a shade of gorgeous shimmering blue. We retraced our steps of the night before, walking further away from the center of town to get a nice view of the entire bay. From this vantage point, you see just how many buildings have sprung up around the base of the mountains, but there is enough space for everyone, no high rise hotels blocking the view. The water in Tortugas is incredibly warm, making swimming super pleasant. As I waded into the water, I had one of those special moments that I still remember today, appreciating the reality of being somewhere lovely, in good company, where everything is perfectly okay. I felt lucky to have the chance to get to know Tortugas before beginning my new job later that month. 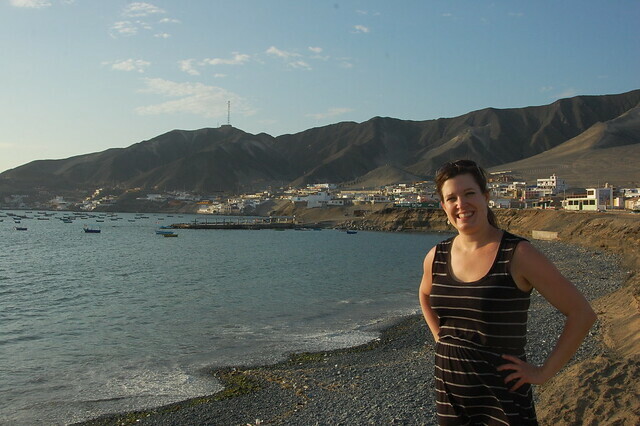 After a pleasant stroll around the perimeter of Tortugas, we headed back to the center of town to get our things and catch a bus back to Casma. It was a good thing we got up early, as we managed to see the clear blue skies illuminating the cove; the coastal clouds began to roll in as we were leaving. 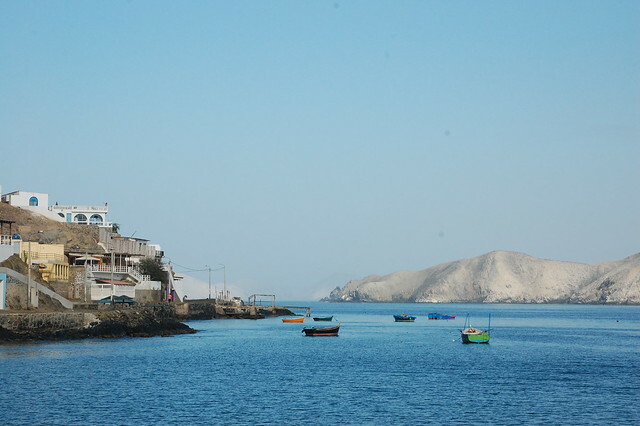 As you can see, Tortugas is a postcard of tranquility, a nice escape from the crowded beaches elsewhere along the coast, and well worth a visit if you are passing through Casma en route to Chimbote, Huaraz, or Trujillo. This is a place to plan to spend a couple of days relaxing, taking in the incredibly warm waters of the bay, and reading by the water or catching up with friends or family. It might be even a nice place for a do-it-yourself writing or meditation retreat, or a place to spend quiet time with your partner if you need to reconnect away from the distractions of the city. 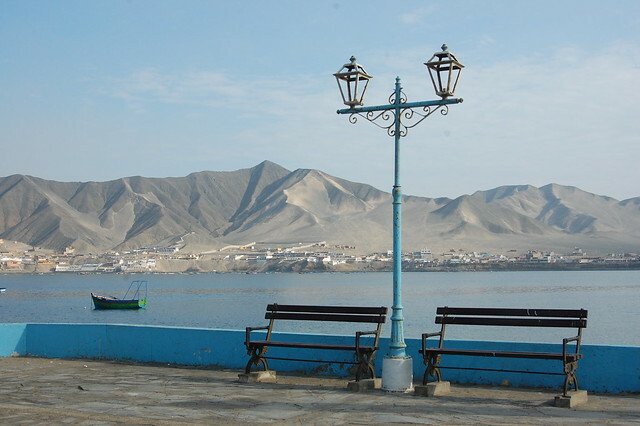 Tortugas is one of my favorite small towns in Peru and is an easy trip from Lima. 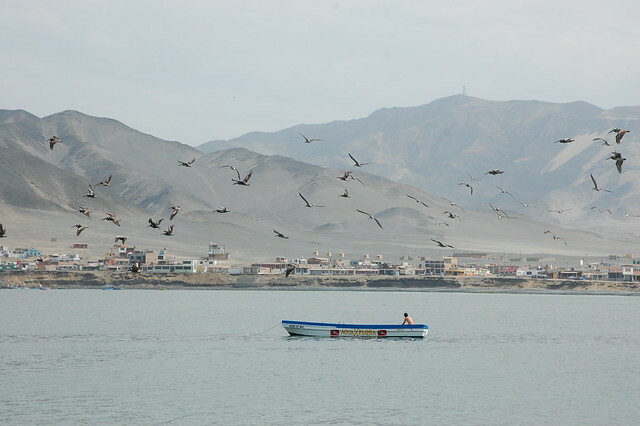 While its charm comes from the fact that it is quiet and uncomplicated by the tourism industry, it deserves a visit from independent travelers looking to experience coastal Peru as locals do. 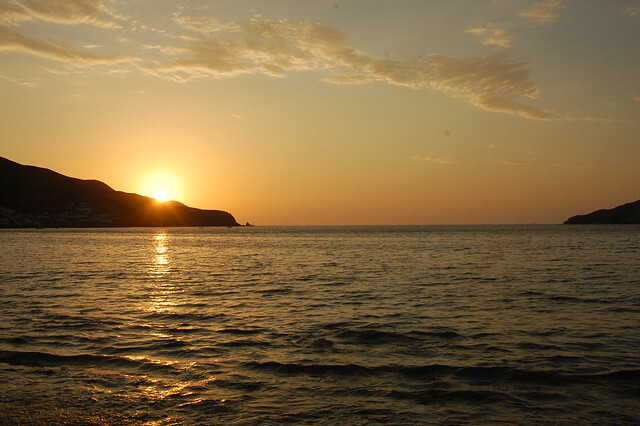 Tortugas is located near Casma, a small coastal city located just off the Panamerican highway. To get to Casma from Lima, you can take a bus from Plaza Norte; Erick El Rojo and 3 Estrellas are two commonly used bus companies. For other potential transportation options, please read my post on Sechín, the archeological site just outside of Casma. Once in Casma, there are combis (small buses) and colectivos (shared taxis) which leave from a parking lot just off the Plaza de Armas in Casma, near the municipality building. Ask anyone to point you towards the buses for Tortugas. The bus cost about S/. 4 in January 2015; the current cost should be posted on the front windshield of the bus. The bus ride takes about 20 minutes and takes you along the Panamericana before turning towards Tortugas and heading the 2 kilometers towards the water. 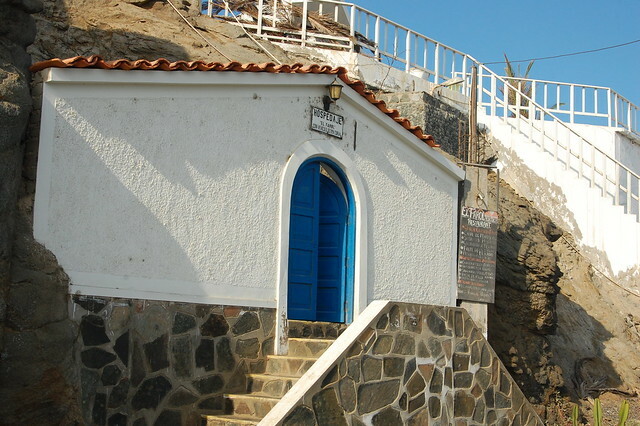 There are several hostales and hospedajes in Tortugas, many of which are attached to restaurants. 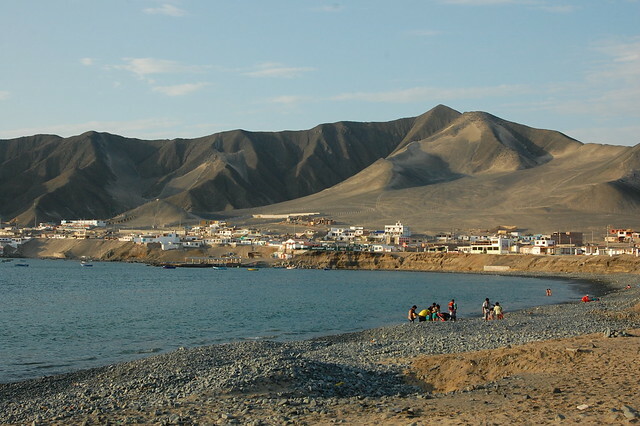 Around the new year, camping on the beach is also common; this is a low-budget destination for many Peruvian families and groups of friends. There are several restaurants serving all kinds of fish, especially ceviche, but if you want something a little more budget friendly, there are several outdoor food stands located up in the residential area. This is also where the buses back to Casma leave from, and a good place to buy fresh fruit. The weather in Casma is warm, and the water of the bay is incredibly pleasant. Make sure to bring your bathing suit!